Justin: Alright, we’re here at MixCon, day 2 with Mr. Ariel Borujow. Ariel is another one of our favorite mixers, he did the panel on EDM. Ariel, iZotope sponsored this one. Can you tell us, did you use any iZotope plug-ins in this one and why were they a brand you were interested in working with? Ariel: I did. I use quite a bit on all of my mixes. I use the Ozone 7. Actually, on this one, Ozone 6, but I used the Exciter quite a bit on my master chain. It’s always been my go-to. Alloy has been just one of my favorite plug-ins for about two or three years now. I use it quite a bit for the multi-band exciter and the multi-band transient designer, but the transient designer, I think it’s one of the only ones on the market with multi-band transients, so I think that’s what makes it one of the strongest ones. Justin: I think on this particular track, I think you had it on your piano track. What were you looking for it to do on your piano track? Ariel: I was just looking for it to hit a little bit more, and the fact that without going into an EQ, I can sort of find the frequency to pull out the hits, which is what makes it strong. Justin: And Ozone 5, 6, and now 7, they’ve been part of your master buss chain, what are you looking for them to do on a mix? Ariel: Harmonics. Harmonics. I definitely — I do, not on this particular mix, but I use the stereo enhancer on the Ozone quite a bit as well. Justin: Have you ever used other busses or pretty much just sit on the master? Ariel: On this particular mix, I believe I used the exciter on the drums. I also used quite a bit to Trash — I didn’t use it on this mix, but I use Trash quite a bit, just because of the multi-band excitement that I use quite a bit for distortion. Justin: Trash is really fun one. Unlike anything else. Ariel: Yeah, but I used it subtly, and it makes a huge difference. Justin: But you do a lot of parallel stuff. Is that the kind of thing where you Trash it up parallel then just sneak some in? Ariel: Not the full thing, but on each band I do parallel quite a bit. Justin: Yeah, I noticed that. Even on the Ozone, you had — you were doing parallel compression, then it was just at 30% of that. Justin: Well if you want people to have one key takeaway from your panel today, what do you think it would be? Ariel: Education and don’t be afraid to make mistakes. Yeah. Justin: So learn. One of the best ways to learn is from others, and the other best way to learn is by screwing up? Ariel: Of course! I mean, that’s your only way you learn, right? You have to fall flat on your face, and then you pick yourself up and move forward. Justin: Well, Ariel, thanks again for being a part of MixCon. It’s great to have you, and I like forward to maybe doing one of these again some day. Thanks Ariel, have a good one. Ariel: This is the one thing I do use on quite a bit of my mixes. It’s — I don’t know, you can call it cheating, but it’s amazing. I use it on stereo. It’s a harmonic exciter, I use it across the whole mix, and this is what it sounds like. 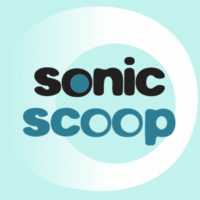 Sonic Scoop is a website all about creative music and audio production. 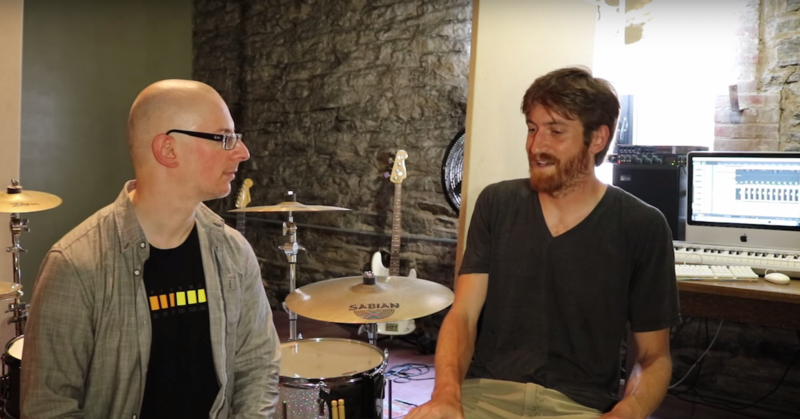 We've partnered with them to feature some of their awesome videos on The Pro Audio Files.